As one of the world’s ultimate prestige brands Bentley never compromise on perfection, renowned for creating mechanical masterpieces. 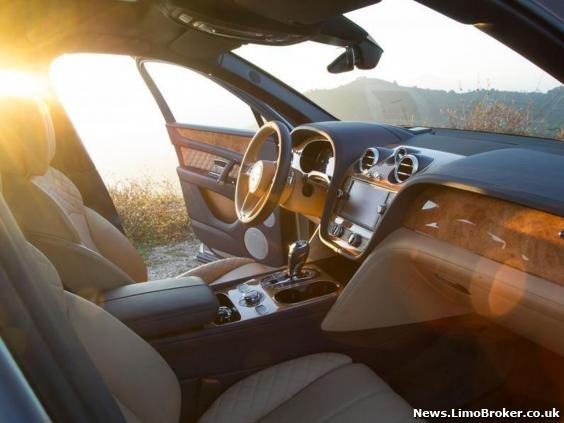 This month they have teased us with the Bentley Bentayga, a car that strikes a chord with us here at Limo Broker. The SUV markets itself as an off-roading monster, a car that combines the beauty of Bentley design with an aggressive approach to speed and ability. Echoing the sentiment of the increasingly popular Audi Q7 the SUV is set to take a front seat in 2016 car sales. Daniel Ford, Sales Manager at Limo Broker understands the need for such an alternative design focus. ‘Nowadays people are looking for vehicles that tick all the boxes, demanding attractiveness and aggression simultaneously. This is why we ate Limo Broker are extending out vehicle range to include sizeable vehicles of this nature, catering to the UK’s ever-changing style’. Encouraging an influx of reviews the Bentayga has passed the British car test with aplomb, with bloggers, reviewers and test-drivers all hailing the new Bentley model a resounding success. Put in the safe hands of the Telegraph’s reviewers, the car seemed to go down a storm, with the publication heavily endorsing its features. With a starting price of £160,000 Bentley certainly have their sights set on the higher end of the market, attracting those that want to be seen in the latest addition to the Bentley fleet. 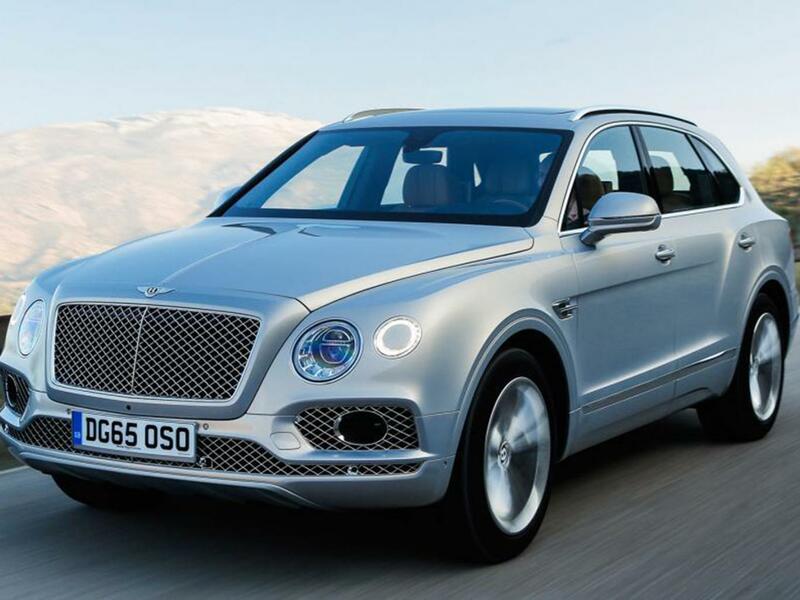 Let us know what you think, could you pay £160,000 for a basic version of the Bentayga? Leave your comments below. As luxury car owners ourselves we understand the need to keep high value cars in pristine condition, ensuring the interior and exterior is impeccably presented to our customers. This is why we can empathise with the terrible ordeal West Midlands operator experienced this weekend, witnessing their vehicles being burnt in a dreadful arson attack. 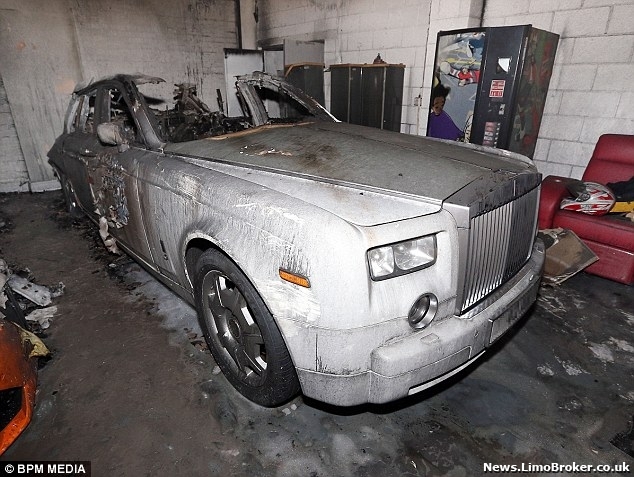 Known for operating a stunning fleet of high-end vehicles the business is now in an unstable state, loosing their Rolls Royce Phantom, Ghost, Lamborghini Aventador and their Bentley in the early hours of Friday morning. Seeing their prized possessions completely destroyed they did manage to save one vehicle, the company Hummer, just having to repair the smoke damage caused to the exterior. With flames engulfing the cars the police had no choice but to close the roads that surrounded the 150 square metre one-storey building, with 40 firefighters braving their lives to settle the inferno. 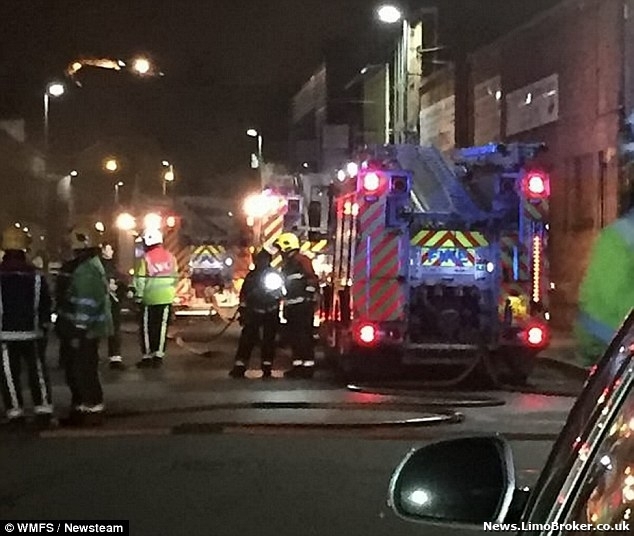 With 18 men wearing breathing apparatus they used three hose reel jets and foam to bring the blaze under control, but unfortunately the majority of the cars could not be saved. With such incidents harming both finances as well as morale it is understandable why this luxury hire boss is desperate to find those responsible, offering a healthy sum of £20,000 to anyone who can help the police with their investigation. The company boss, Zafron Hussain, is extremely concerned about the future of his business, with his cars being off the road, not being able to chauffeur customers or be hired out. ‘I have no idea who has done this as we’re a successful business and get on with everyone. ‘I don’t know if we were deliberately targeted or if it was yobs messing around. ‘We cannot operate from these premises because of the damage and it will take months for the insurance claim to be sorted out. ‘I don’t know what we’re going to do about operating the business. ‘was not a pleasant sight’ when he arrived at the premises as firefighters tackled the blaze. 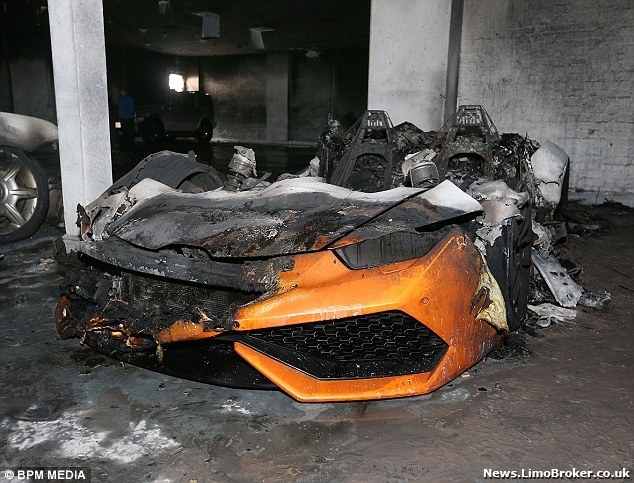 He added: ‘The Lamborghini, which was carbon fibre and valued at £330,000, was totally melted. If you know anything about the awful ordeal then be sure to share the information with the West Midlands Police. Where limo hire used to be the ultimate form of luxury transportation it seems that self-drive supercar rental has overtaken, with cars like Ferraris Lamborghinis and Audi R8s extremely popular here in the UK. 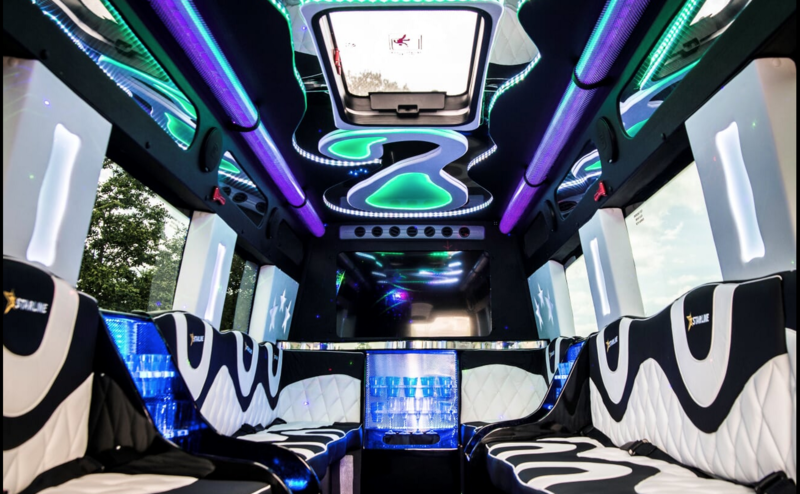 Being a favoured option for those celebrating weddings, proms, birthdays and other important occasions the UK transport industry is constantly introducing new cars available for hire, cars with an incredibly high price tag. This week a 29-year-old who paid a £5,000 deposit plus £850 a day to rent a Ferrari crashed it, living out every hire company’s nightmare. 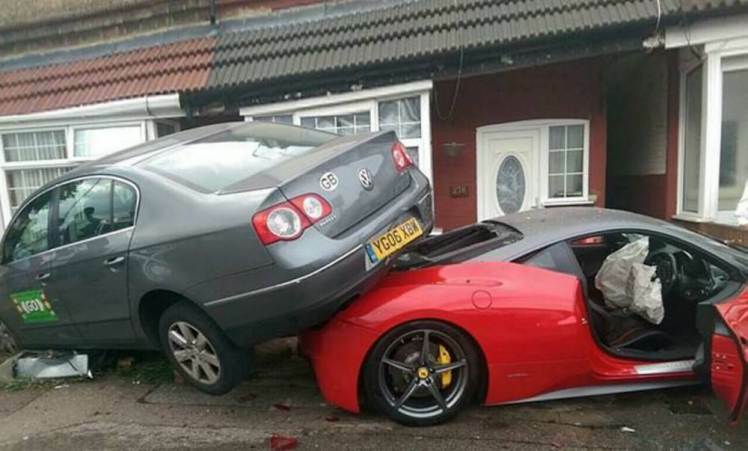 With just 4,600 miles on the clock the 458 Italia hit a brick wall and wedged itself underneath a VW Passat taxi, prematurely ending the car’s life on the road. Bedfordshire Police confirmed the details of the incident. “We were called at approximately 7pm on Sunday to reports of a three vehicle road traffic collision in which one car collided with a wall. Co-owner Jamie Ford, 26, from Shoreham-by-Sea, West Sussex, said: “When I saw what had happened I was absolutely devastated. “They have done a really good job of crashing it and writing it off. 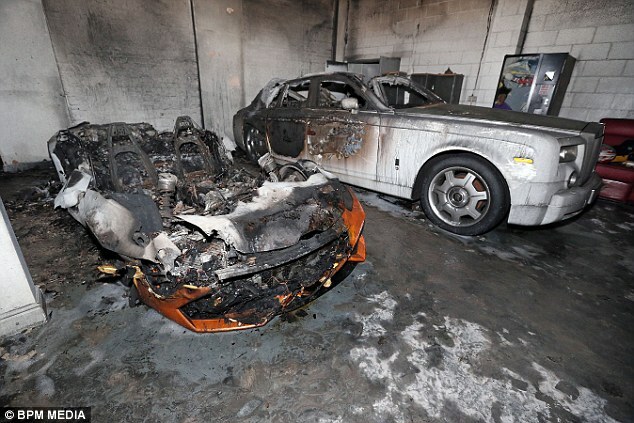 It took three minutes for the insurance assessors to write it off. Claiming that many do not understand what it means to drive such a powerful, high-value vehicles the owners of the Italia have been left extremely annoyed by the events of the week, urging those that rents such cars to take more care when behind the wheel. What happens if you have an accident in a self-drive Limo Broker car? At Limo Broker we understand that although these types of incidents are regrettable they are inescapable, understanding that or cars are not invulnerable. This is why we tailor car hire packages that suit all parties, ensuring that in the event of an accident nobody is left out of pocket. To view our self-drive vehicle selection visit our online catalogue today. 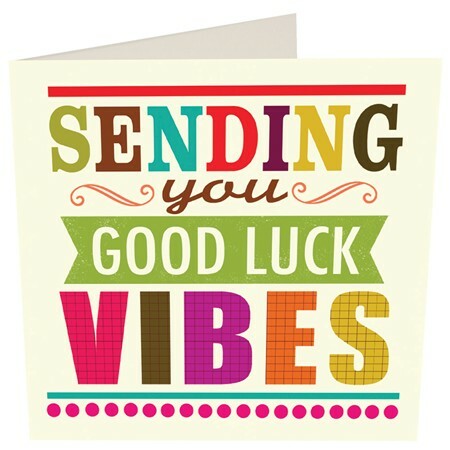 Good Luck To Our School Leavers! The day is finally here and after much anticipation and worry school-leavers can finally find out their A Level results. With many finding out whether they have get into university or college a lot rides on today, but just think, whatever happens you have your prom to look forward to! What if I do not get my grades? Although a worrying thought it is essential that you are prepared for not getting the grades you need, however, it is not the end of the world. Now there are so many options available for those that do not get their predicted results with re-sits and the opportunity to go through clearing giving students a second chance. Now that you have opened that all important envelope it is time to party with your classmates, making the most of your prom. Probably being the last time that you spend time with your year group as a whole it is vital that you have a good night and take lots of pictures. We would like to take this opportunity to give all of our prom car hire customers a big well done, and do not forget to tweet us your prom pictures @limobroker.